Wine of Chile. 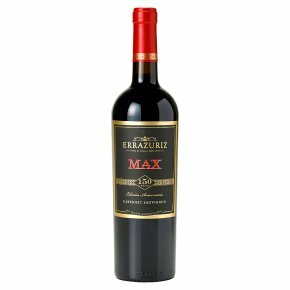 We name our Max wines to honor our founder Maximiano Errazuriz, and his visionary spirit that brought him to the Aconcagua Valley, located at the foothills of Mount Aconcagua, the highest peak in the Western Hemisphere. Cabernet Sauvignon vines planted more than 20 years ago prosper in the valley's climate and gravel soils that characterize the Max V vineyard, enabling very balanced growth and concentrated fruit. After 12 months of oak aging, the result is an extremely elegant wine with red berry aromas and velvety tannins.